The deadline for nominations for individuals to be considered for an Honorary Award at Aberystwyth University’s 2018 graduation ceremonies is midnight on Monday 23 October 2017. Nominations can be submitted by members of staff, students and members of the public. The University confers a number of Honorary Fellowships, Honorary Doctorate and Bachelor degrees every year. 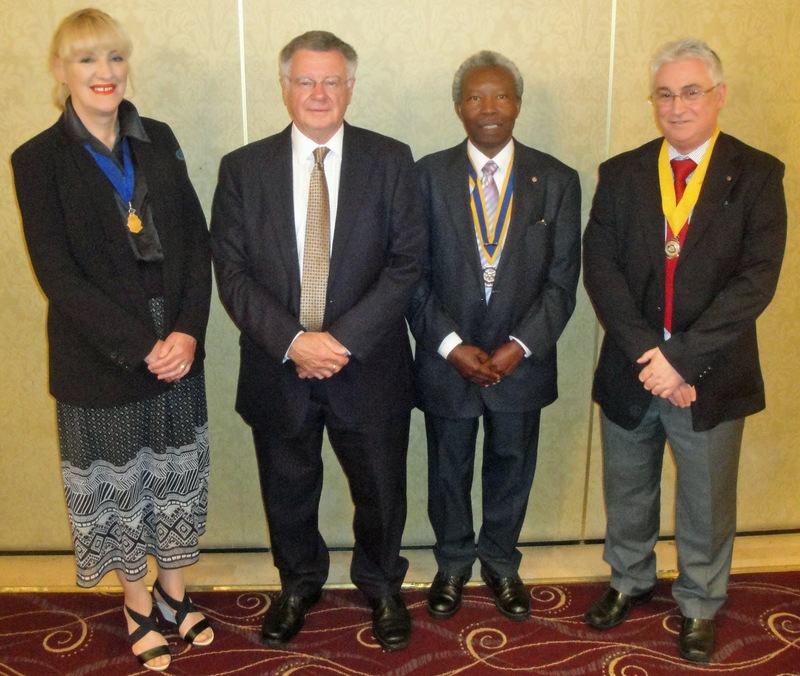 Honorary Fellowships are awarded to honour individuals who have, or have had a connection with Aberystwyth or Wales in general, and who have made an outstanding contribution to their chosen field. Those honoured in recent years include award winning novelist and The Times columnist Caitlin Moran, journalist and presenter Robert Peston, former Australian Prime Minster Julia Gillard and naturalist and television presenter Iolo Williams. In 2015, the University also began to confer Honorary Doctorate Degrees and Honorary Bachelor Degrees. Honorary Doctorate Degrees may be conferred on those who have been outstandingly successful in their field, or who have a long record of renowned research and publication. Honorary Bachelor Degrees are presented to individuals who are members of Aberystwyth University staff without an entry-level degree in recognition of long-service, contribution and dedication to the Institution; and members of the local community who have made a significant contribution to Aberystwyth and the area. Staff, students, and members of the general public are invited to put forward nominations of suitable individuals whose achievements and contributions can be celebrated, and who will inspire the whole University community. Nominations received will be considered by the Committee on Honorary Awards which will make suitable recommendations to the University’s Senate and Council. Full details, including a nominations form, can be found online at: www.aber.ac.uk/en/about-us/honorary-awards. The website also gives the eligibility criteria against which the Committee on Honorary Awards considers the nominations. If you are unsure about submitting a name for consideration, you can seek informal advice by e-mailing the University Secretary - secretary@aber.ac.uk. Aberystwyth University Treasurer, Dr Timothy Brain,‌ awarding Dai Alun Jones with Honorary Bachelor Degree in 2017, in recognition of his services to sport and the local community. 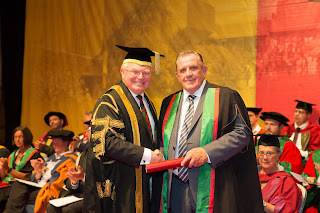 Aberystwyth University Chancellor, Sir Emyr Jones Parry, presenting wildlife television presenter and naturalist, Iolo Williams, with an Honorary Fellowship in 2015. Normal service about to resume . . .